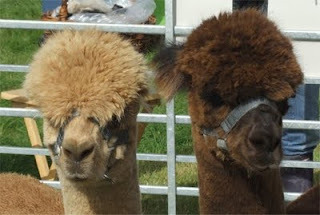 We have just returned from the wonderful Bucks County Show, my favourite day out and only 15 minutes away from where I live. 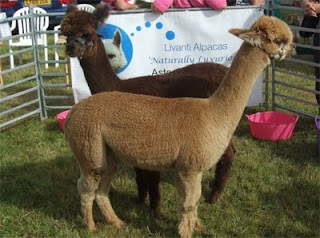 This year they had Alpacas on display, really quirky looking animals, as you can see from the pictures, but really great for their coat, makes some wonderful creations. A great day out, well done to everyone concerned. Well, Hugglets Teddies 2009 in London will soon be here, I have been really busy making some new creations for the show, some of them are now on a special page on my website. Latest news about Jake is that he is now running around, I cant keep up with him, LOL.